Visit EL RASTRO: The best market in Spain! El Rastro is the main open-air market in Madrid. Its origin goes back to the Middle Ages! It is held every Sunday and public holiday during the year! If you like to mingle with people, wander aimlessly through the streets or search for bargains, then you will enjoy this vibrant market! As you walk through, you will hear the passionate shouting of vendors mixed with the melodies of pop music. Although there is a main street dedicated to market stalls, the side streets contain the real treasures. 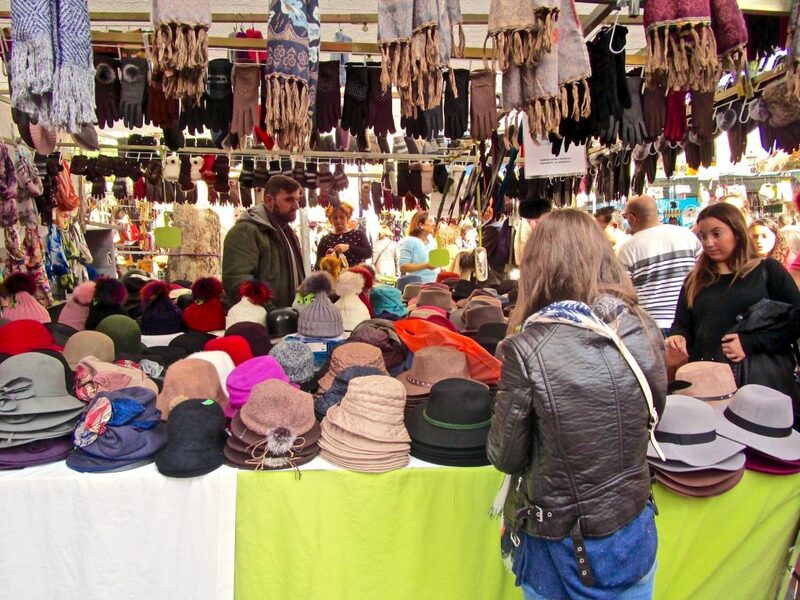 Throughout the market, you will find stamps, jewelery, ethnic clothing, movie posters, vinyl discs, the smell of leather, collectibles of all kinds, and even antiques! After a morning of shopping and bargaining, come to the La Latina neighbourhood and surrounding streets and enjoy Madrid traditional cuisine, beer, wine and tapas! 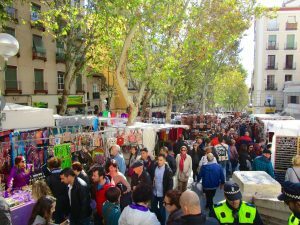 The market is located between Calle Embajadores and the Ronda de Toledo. The market runs along Plaza de Cascorro and La Ribera de Curtidores to Ronda de Toledo. SUMMER ART IN MADRID: 2 Exhibitions You Don’t Want to Miss!